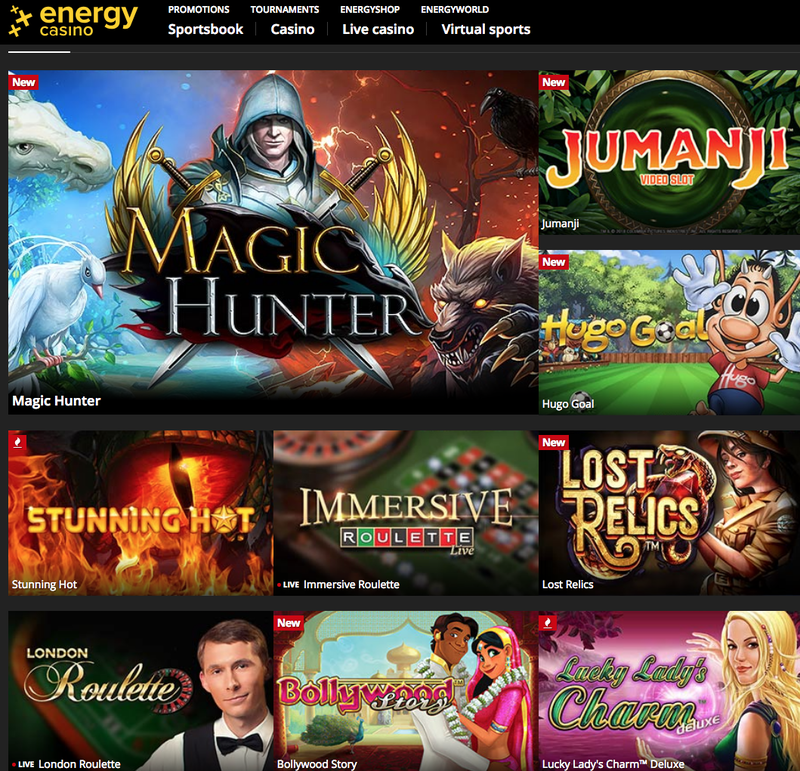 Energy Casino is one of the only online casinos around which offers games from the best known names in both the online and offline gambling sectors. It’s no surprise that a site with a name like this is so fun-filled and jam-packed with action. Netent, Microgaming and Novomatic are just a few of the recognisable developers which provide cutting edge casino games to this fully UK licensed website. All of these bonus treats can be enjoyed at a wide array of instant-play, Adobe Flash Player games. Some of the most popular games on the site are online versions of beloved land-based slots. As mentioned earlier, the majority of these slots are provided by Novomatic, Microgaming and Netent. These include the Book of Ra Deluxe Slot, Sizzling Hot Slot and Columbus Slot, to name just a small few. There are also five traditional table games on offer at Energy Casino; two versions of Roulette (European and multi-ball), Blackjack, Baccarat and Sic Bo. All five of these exciting table games are sure to appeal to sticklers of classic casinos. The third type of enticing game provided by Energy Casino is video poker. This is an enduringly popular category of game which is enjoyed by huge numbers of online gamblers. Three different type of video poker can be enjoyed at Energy; Jacks or Better, Joker Wild and Deuced Wild. A unique feature that Energy employ for their video poker games is the display of probability for hitting each of the board’s winning combinations. The probability is shown as a clear percentage on the screen. These have been proven time and time again to be the three most popular types of video poker, so the vast majority of players are sure to enjoy this category. The most important thing for any online casino to consider is the safety and safety of its players. This is clearly something that the creators of Energy have taken very seriously. In addition to being owned and operated by the UK Gambling Commission authorised Probe Investments Limited, the site has been fully licensed by the much trusted Malta Gaming Authority. Sensitive information is treated with complete confidence, as all data provided by customers for banking verification or anything else to do with the sign up and cash withdrawal processes is safeguarded with the most cutting edge SSL encryption. SSL encryption platforms, like the ones used by Energy Casino, keep information completely obscured from human view and are widely considered to be the highest possible standard form of online security. It is important to note that players based in the United States are prohibiting from entering or playing at the casino.